We Can Generate Electricity With Ocean Waves via "Artificial Blowholes"
As greater interest in alternative and renewable energy grows, so do the numbers of people stepping up to innovate. We need better ways to provide energy that do not rely on vampiric energy companies that monopolize towns, jack up prices and encourage their patrons to “use less” until we are back to 1900! Whether “artificial blowholes” can achieve help on that side of the energy coin remains to be seen. However, they can harness electricity through the natural movement of ocean waves, which opens up a world of opportunities. Ocean waves could be one such [alternative to fossil fuels], and Australian company Wave Swell Energy is developing a new device to harvest that energy. New Atlas spoke to Dr. Tom Denniss, the CEO of the company, to find out about the technology. 2016 was a boom year for solar power, and renewables as a whole overtook coal to become the world’s largest source of installed power capacity. But nature isn’t easily tamed: wind farms and solar arrays are at the mercy of the elements, so the more diverse our renewable energy mix, the more reliable the power grids of the future will be. The endless motion of the ocean is a great resource, and we’ve seen some creative methods to try to tap into that energy. Point absorber systems use a buoy to drive an underwater hydraulic system, while Gibraltar’s wave energy station is mounted onto a jetty, where it converts the rise and fall of waves into fluid pressure. Needless to say, the artificial blowhole is a unique creation for renewable energy. It just remains to be seen whether the innovation of artificial blowholes will be “allowed” to help people around the world because obviously, corporations amassing billions would become obsolete with the various forms of alternative energy to come down the pike. What do you think? Are artificial blowholes a viable solution? Sound off below! 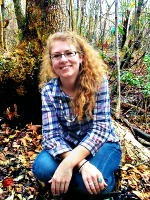 Heather Callaghan is an independent researcher, writer, speaker and food freedom activist. She is the Editor and co-founder of NaturalBlaze as well as a certified Self-Referencing IITM Practitioner. Get a nifty FREE eBook – Like at Facebook, Twitter and Instagram.